Mandala Vol. 1, Polysonic Flows is the fourth Mello Music Group compilation – previous compilations include Mental Liberation, Helpless Dreamer, and Self Sacrifice. It’s also perhaps our best to date. The album showcases our ever-evolving roster of top-tier producers and rappers, many of whom (e.g. Oddisee, Quelle Chris, Has-Lo) fill both roles with equal dexterity. Additionally, it features several artists MMG plans to collaborate with in 2014, a testament to our commitment to working with those who possess singular sonic and lyrical abilities. Mandala Vol. 1, Polysonic Flows is at once compact and comprehensive. Clocking in at twenty tracks, there is not a minute wasted and not a miss in sight. It is diverse and yet somehow cohesive, tailor made to rock your car speakers and your brain stem. It is MMG’s reminder that hip-hop is alive and well, and a reintroduction to a label that’s tried never to forget what makes music compelling. With ten distinctive producers behind the boards, the soundscapes on Mandala Vol. 1, Polysonic Flowscover the map and the album is all the better for it. Oddisee of course helms the opener and tracks throughout with a musicality like few in Hip-Hop today. L’Orange brings subtle, jazzy suites to the table, and Quelle Chris provides dusty samples looped over hard-hitting drums as well as anyone else on the record. Jeremiah Jae also makes sure the bass-rattling, electronic bangers coming out of L.A.’s beat scene are well represented. Nothing here is solely run-of-the-mill boom-bap. Each beat is far richer and more inventive, able to play on its own and provide the perfect complement to the raps at hand. 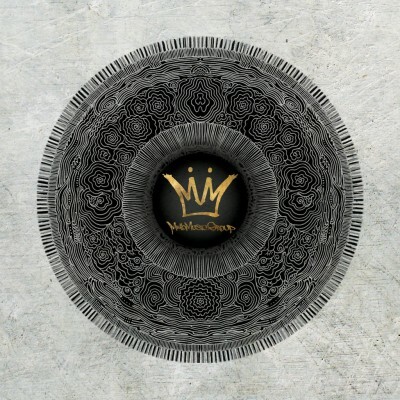 1 comment "Mello Music Group – Mandala Vol. 1: Polysonic Flows (CD) (2014) (FLAC + 320 kbps)"
could you maybe please reupload this one and vol 2?